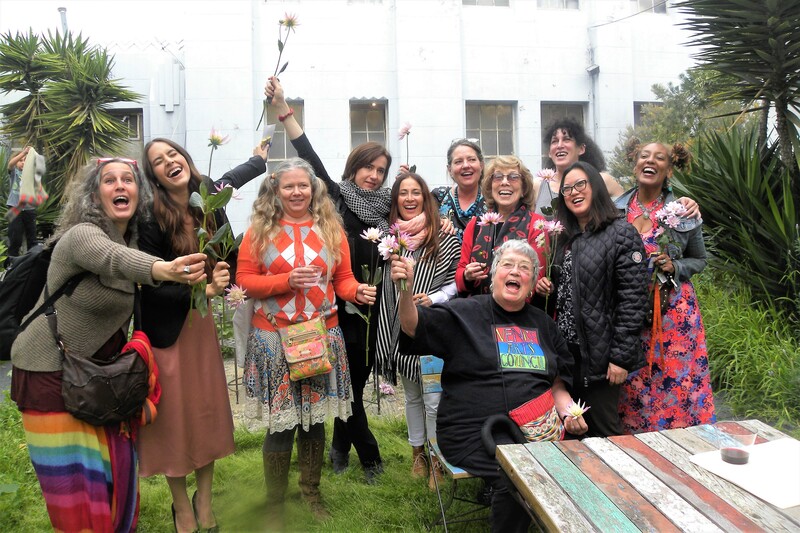 The Arts and Cultural Bridge Foundation paid tribute to women around the world for International Women’s Day with an afternoon of music, film, poetry, performance and visual arts on Sunday, March 12, 2017 from 2:00pm to 4:00pm at Beyond Baroque Literary Arts Center in Venice. The celebration brought together eight Venice-based women artists from five different countries with Cuban filmmaker Claudia Rojas to share experiences, challenges and beauty, through the arts. The afternoon began with my introductory remarks as emcee followed by the Arts and Cultural Bridge Foundation’s Board Member, Alice Stek, and a video clip from the Foundation’s website. Presentations by Community Partners included: Beyond Baroque’s director Richard Modiano, Venice Arts Council Chair, Emily Winters, and Women In Film International Co-Chair, Ruby Lopez. International Women’s Day celebrates and honors the role of women in people’s lives. 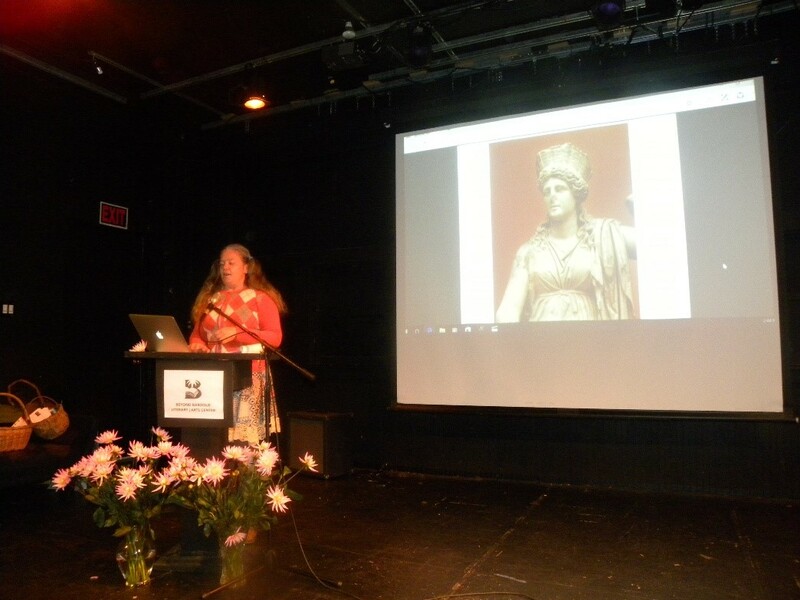 Writer and educator, Greta Cobar, inspired by her Romanian heritage, shared the history of International Women’s Day with an audio-visual presentation of historic photos and events. 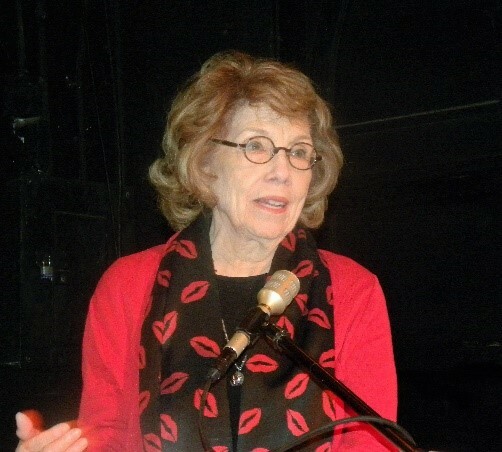 Puerto Rican-American poet, writer and publisher Gloria Vando, read her poem “Cardinal Rule” and stated why it was important for her to publish works by women. “I did it in self-defense…. publishers, curators… all choose to publish works by men”. Gloria has won many awards and her poems are widely published and included on the Grammy-nominated Poetry on Record: 98 Poets Read Their Work 1888-2006. The first half of the show closed with Cuban filmmaker Claudia Rojas, the third participating artist in the Arts and Cultural Bridge Foundation’s cultural exchange program. She premiered her short documentary film Window Seat, an intimate view of a young girl’s struggle to reunite with her family. The film features Claudia’s niece Gleydis Viera who flew in from Miami to attend the event. 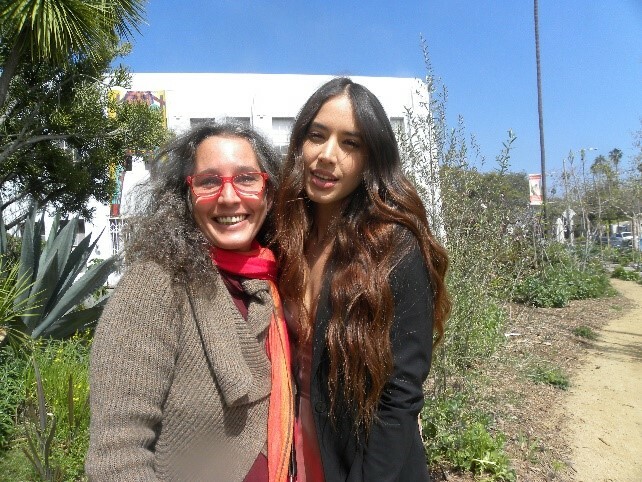 My initial work with Claudia Rojas began in March of 2013, on the Cuban Women Filmmakers U.S. Showcase Tour. She presented her documentary “Derecho de Ser” (Right to Be, 2013) in Los Angeles, New York City and Miami. In May, 2015 Claudia documented a performance by one of the Foundation’s cultural exchange artists Amy Kaps at the 12th Annual Bienal de la Habana. A clip of Claudia’s documentary is featured on the Foundation’s website. Claudia is currently working on the production of her script “Repatriación” (Repatriation), which won best unpublished script at the Festival Internacional del Cine Pobre de Gibara, (International Festival of Low-Budget Cinema of Gibara, Holguin). “Repatriación” was also entered competition at the 36th Festival Internacional del Nuevo Cine Latinoamericano, (International Festival of New Latin American Cinema) held in La Habana, in December, 2014. Artwork by Emily Winters, Kay Brown and Amy Kaps was on sale in the lobby and refreshments were available on the back patio during intermission. The second half of the show opened with world music by AfrikaSa/Bridget Graham. followed by Chilean Singer, songwriter Jacqueline Fuentes. Slovenian born, video artist and filmmaker Nataša Prosenc Stearns screened three videos of the series – Nucleus Brass, Humans Crossing and Deafening Whispers / Alternative Facts which she describes as “addressing the uncertainty of our physicality from an embryo to a robot, the rising and ever migrating population on a progressively more damaged and claustrophobic planet and the unreliable state of truth, which has been replaced by fiction so often, that it has become impossible to recognize one from another”. In mid-2016, Nataša noted, “my work spontaneously started to lose colors and that no matter what the initial idea was, every project adopted political undertones. Even though my work is never directly illustrative, relying on its emotional and visceral impact rather than on preconceived notions, my new series Nightmares of the New World is clearly a reaction to the bleak socio-political climate. 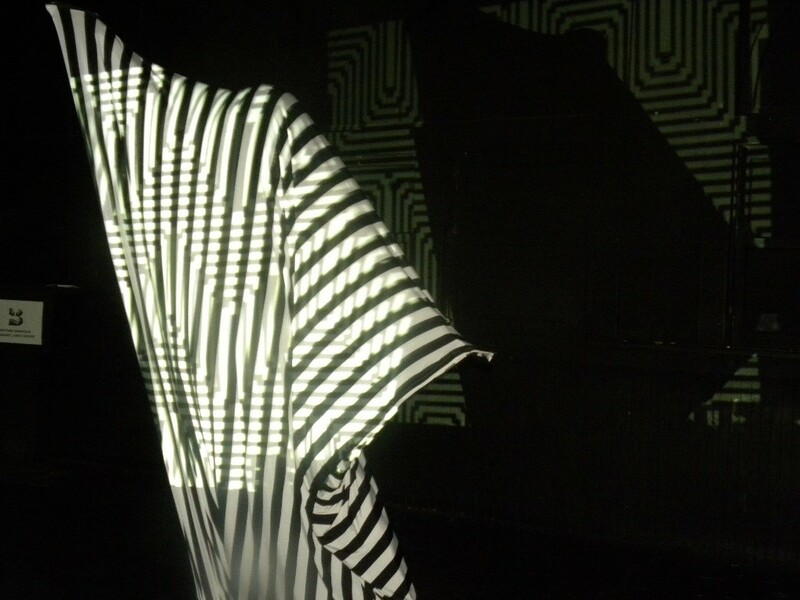 Experiments in Stripes – Encased in her signature black and white stripes, Amy Kaps acted as a projection surface capturing images and casting a shadow. The event ended with a fabulous visual feast by interdisciplinary solo performance artist Amy Kaps. She is in constant dialogue with her surroundings and those who inhabit it to entice the viewer to question what they see. Highly conceptual with the intention of altering perception and provoking thought, her objective is “to create honestly and to question the status quo, while reveling in a feast for the senses. The challenge is to decipher the common denominators, recognizing the similarities within the differences that connect us regardless of age, race or gender”. In 2015, Amy was sponsored by the Arts and Cultural Bridge Foundation as part of our cultural exchange, to perform at the 12th Annual Bienal de la Habana. The International Women’s Day celebration was free of charge and made possible by: Arts and Cultural Bridge Foundation, Campizondo Foundation, a Donor Advised Fund of The U.S. Charitable Gift Trust, Edward Harris and Aris Anagnos. 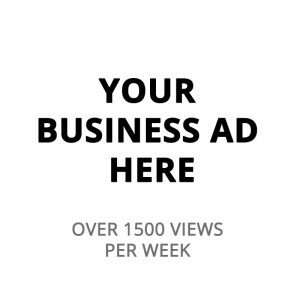 Community Partners include: Women In Film International Committee, the Venice Arts Council and Beyond Baroque Literary Arts Center. 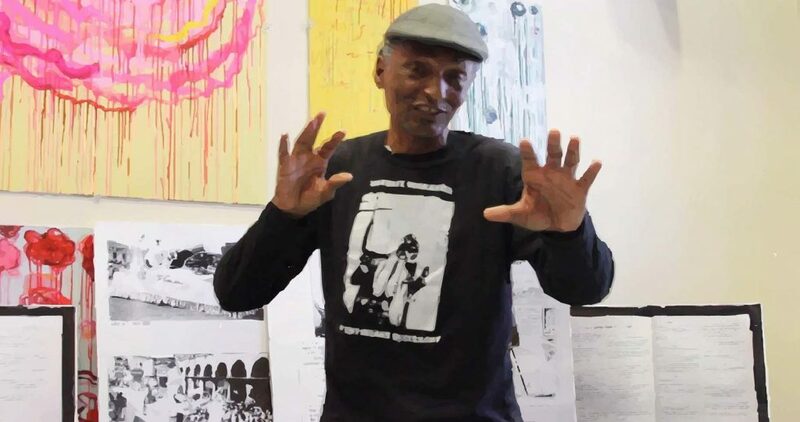 Arts and Cultural Bridge Foundation is a 501 C3, non-profit organization based in Culver City, California, with a mission to build a deeper understanding and dialogue between people through the arts.